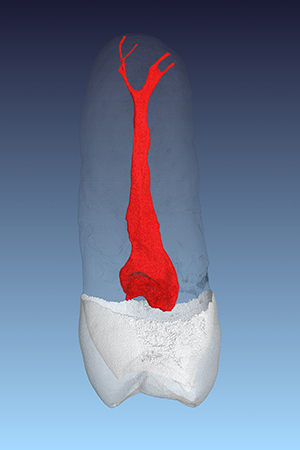 This maxillary premolar represents true anatomy and can be instrumented with your preferred hand or rotary instrument system. 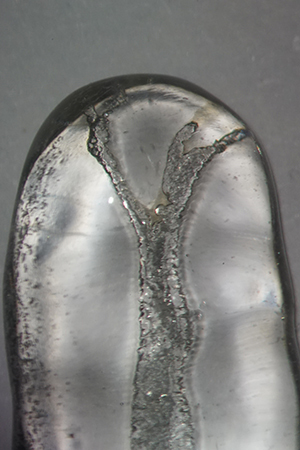 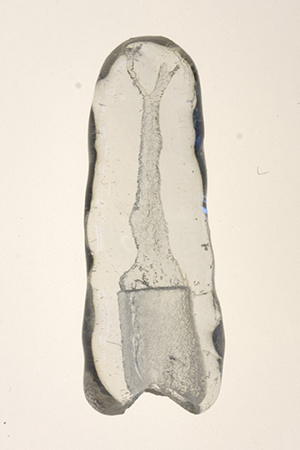 The transparent shading is of particular interest for toying with new instruments and to visualize root fillings and irrigation. 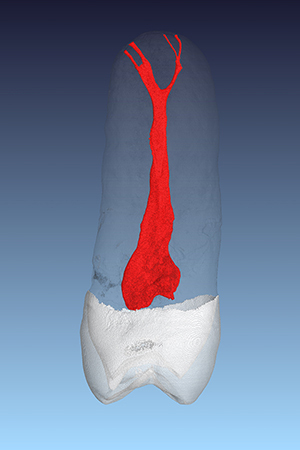 Root canal system of the maxillary premolar.